Kelly Creates BLACK Journal Inserts 346404 at Simon Says STAMP! 346404 This item is on reserve until If you would like to reserve this item now, you may purchase it now with the rest of your order. We will hold your order now and ship your entire order as soon as this item is back into stock. If you would like your order to ship now, please place this item on a separate order. 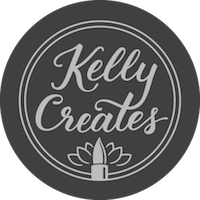 Success, Kelly Creates BLACK Journal Inserts 346404 has been shared! Slip this black paper pad into your practice journal for even more practice on the go! It includes 20 sheets of black paper, perfect for practicing with your metallic pens (343555, sold separately). This package includes one 20-page insert. Approximate size of journal is 4.5 x 7.4 inches.